Apollo 7 (09/11/1968 to 09/22/1968): the first mission in the United States' Apollo program to carry a crew into space. Apollo 8 (12/21/1968 to 12/27/1968): the first manned spacecraft to leave Earth orbit, reach the Earth's Moon, orbit it and return safely to Earth. Apollo 10 (05/18/1969 to 05/26/1969): sort of "dress rehearsal" for the first Moon landing, testing all the components and procedures. Apollo 11 (07/16/1969 to 07/24/1969): the spaceflight that landed the first two humans on the Moon. Mission commander Neil Armstrong and pilot Buzz Aldrin, both American, landed the lunar module Eagle on July 20, 1969, at 20:18 UTC. Apollo 12 (11/14/1969 to 11/24/1969): the second mission to land on the Moon (one day and seven hours of lunar surface), four months after Apollo 11. 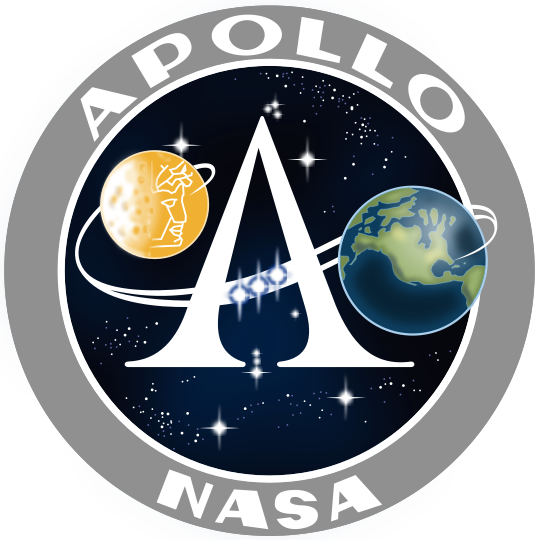 Apollo 13 (04/11/1970 to 04/17/1970): the third mission intended to land on the Moon. The lunar landing was aborted after an oxygen tank exploded two days later, crippling the Service Module (SM) upon which the Command Module (CM) had depended. Despite great hardship caused by limited power, loss of cabin heat, shortage of potable water, and the critical need to make makeshift repairs to the carbon dioxide removal system, the crew returned safely to Earth on April 17. Apollo 14 (01/31/1971 to 02/09/1971): Targeted landings with two-day stays on the Moon with two lunar EVAs, or moonwalks. Apollo 15 (07/21/1971 to 08/07/1971): Long stays on the Moon, with a greater focus on science than had been possible on previous missions. It was also the first mission on which the Lunar Roving Vehicle was used.